The recent passage of mandatory E-Verify by the U.S. House of Representatives Judiciary Committee brings us one step closer to ending the root cause of most illegal immigration into the United States: outlaw businesses that hire illegal immigrants. Illegal border crossings, visa overstays, and children born in the United States to parents here illegally would all be dramatically reduced or eliminated if we ended the ability for outlaw employers to take advantage of immigrants that arrive here illegally. There are hundreds of thousands of young-adult children of undocumented immigrants that have been here since childhood because we have allowed outlaw employers to hire and employ their parents illegally for decades. Roughly one-half of the nation’s undocumented immigrant population results from visitors who entered legally but who do not leave when their time is up because Congress continues to refuse to mandate the well-tested and widely-used E-Verify system. When visitors sense that illegal employment is widespread, the temptation to break their visa agreements grows stronger. 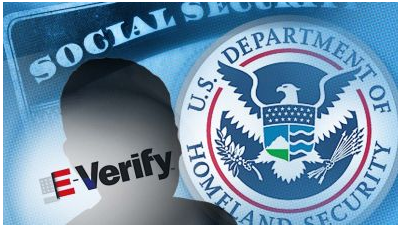 E-Verify would greatly reduce the magnet for illegal labor. 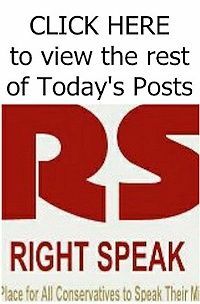 Worldwide, at this very moment, people are enticed to illegally cross borders and overstay their visas in search of jobs that should belong to an American or someone who came here legally. Fewer people from around the world would make the attempt if we could ensure employers hire only those here lawfully and have work authorization. The bill introduced by U.S. Reps. Lamar Smith (R-TX) and Ken Calvert (R-CA) is called the Legal Workforce Act of 2017, H.R. 3711, and it would require every employer in the U.S. to use E-Verify to determine whether new hires are authorized to work. Read the rest from Ken Blackwell HERE.